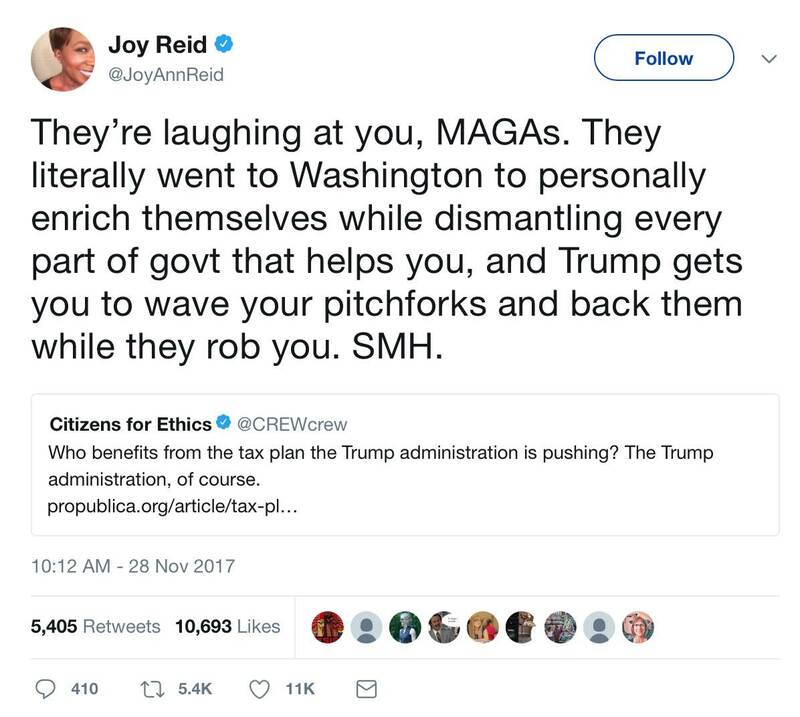 The latest recipient of joyless Joy Reid's seething contempt is rural America. As is the case with leftists who are still sore over the 2016 election result, Reid still doesn't understand and/or will not accept, and certainly doesn't appreciate, that the Constitution set up a nation of significantly autonomous states. 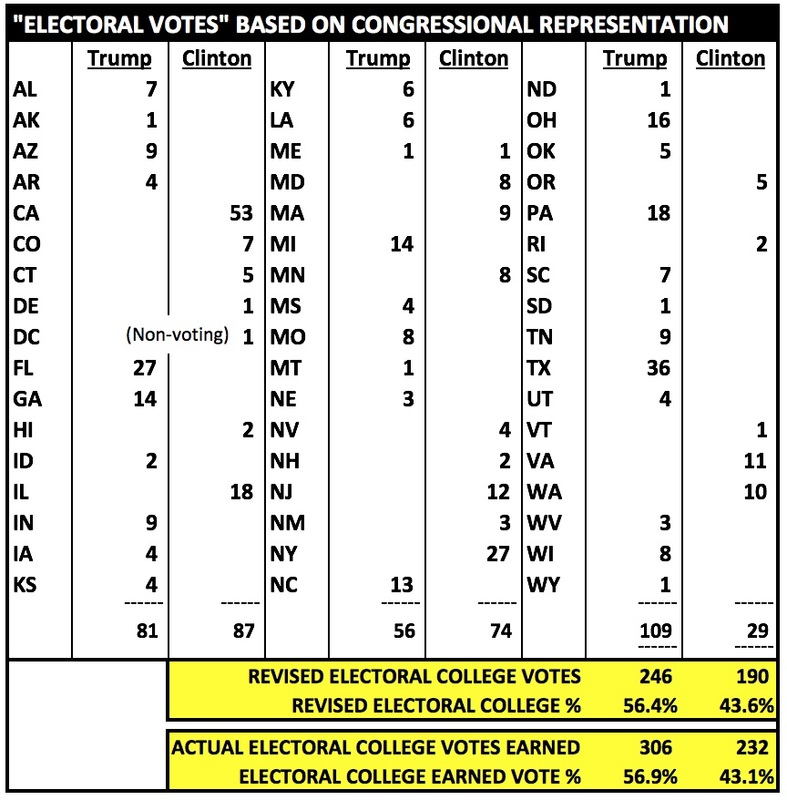 The tired whine that small, rural states have outsized conservative influence ignores the fact (looking at states with just one or two House members) that conservative and largely rural AK, ID, MT, ND, SD and WY (7 House members combined) are offset by liberal and nowhere near as rural DE, DC, HI, RI and VT (also 7 House members), while ME and NH have recently tended to be toss-ups. There is no outsized influence of small, conservative, rural states in the Electoral College, or in the United States Senate. 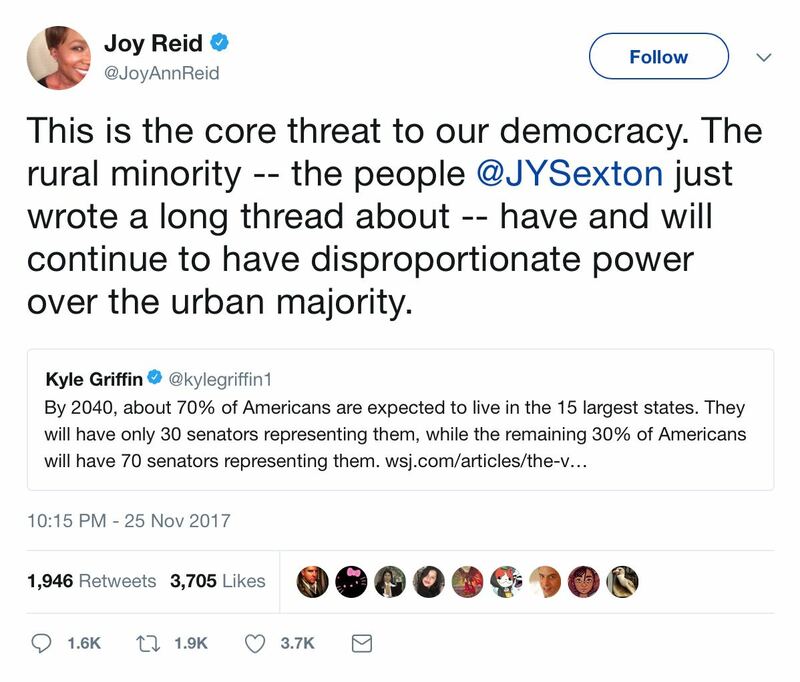 If Reid wants to complain about Hillary Clinton's popular vote margin as a basis for disproportionate rural power, she either doesn't understand or doesn't honor the nation's constitutional framework. (The Associated Press noted that) The financial health (of CNN and MSNBC) is largely due to long-term deals with cable and satellite operators to carry MSNBC, made when the network sold itself as a counterbalance to Fox News ... the advertising is not as important as the carriage deals. ... (Because of) the "long-term" nature of the carriage deals ... Fox didn't catch up to ... (its) rivals in revenues until 2008, even though its audience already dwarfed theirs. (Thus,) a huge portion of a cable channel's revenue is guaranteed, regardless of audience size. ... Carriage fees explain why. They have served to insulate the networks from their folly, essentially forcing non-viewing cable customers to subsidize them. ... CNN's and MSNBC's clearly subsidized status may at least partially explain why resistance to a la carte cable services is so fierce. If given a choice, most consumers would decide not to pay for their content. 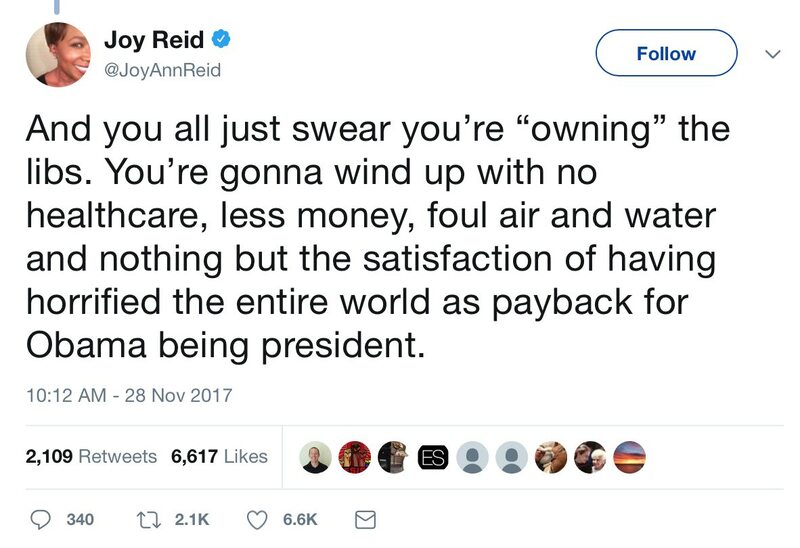 If rural voters had such extraordinary influence, they wouldn't be forced by cable packages to subsidize people who hold them in utter contempt like Joy Reid, would they? Reid has been "inspired" by an unhinged fever swamp resident named Jared Yates Sexton, who claims to have grown up in an Indiana family and community surrounded by fascists, bigots, and "Hitler wasn't all that bad" sympathizers. In two insufferable series of tweets, he projected that hard-to-believe experience onto all of rural America, insisting that Donald Trump is empowering their fascist, authoritarian tendencies. He claims to have heard all sort of ugly and threatening sentiments at Trump rallies, yet those rallies were somehow not violent — and in the extremely rare cases where violence occurred, it was because of Democratic Party-funded baiting, and the victims were typically ambushed Trump supporters. 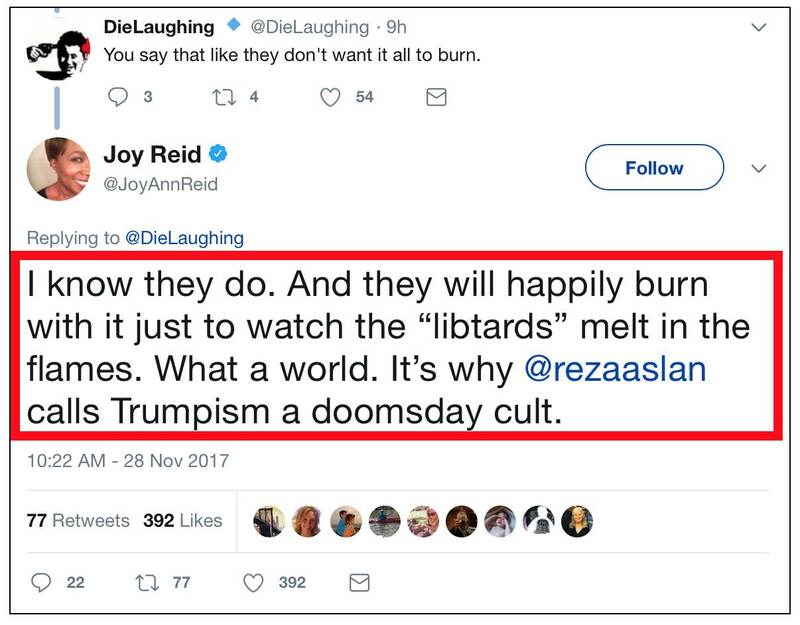 The profane, cannibalism-participating Reza Aslan is the person Reid cited as the expert identifying "Trumpism" as a "doomsday cult." Aslan was fired by CNN in June after a series of current and past profane remarks online, some directed at Trump, came back to haunt him. We'll seek our expertise elsewhere, Ms. Reid. Who grew the crops which became the food in your supermarket where you shop? Who produced the oil and gas which keep you warm day and night?